A few years ago, I saw a video about homeless women and their periods that touched me deeply and moved me to action. In the documentary, various homeless women speak about how difficult it is for them to get the various hygiene products that they need. Many of the ladies talk about having to decide between getting a meal and getting the supplies they need. Take a look at the video for yourself. After watching this doc and hearing these stories, we were moved to action. We launched our first #POSITIVEPERIOD campaign in 2016, and we are pleased to announce our commitment to this initiative. This year we are partnering with our friends at Detroit Fiber Works and Repair the World Detroit to increase the reach and scope of products given to the women. 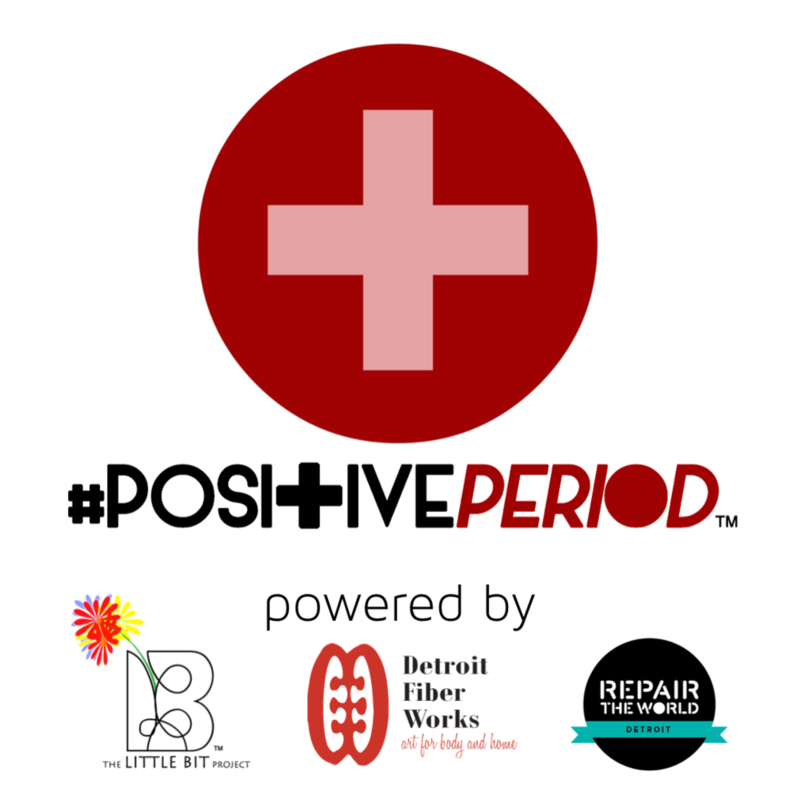 For National Women's Month, March 1st through the 31st, we will be asking for donations of feminine hygiene products for the #POSITIVEPERIOD campaign. All items collected during the campaign will be given to women in Detroit who are homeless, in shelters, or otherwise in crisis. Items such as tampons, maxi pads, pantyliners, baby wipes, feminine wipes and body spray are recommended, but toothpaste, deodorant, and all other hygiene products will be accepted. We are also in need of gallon and quart sized Ziplock Bags. Included with each kit of products we will include a Little Bit Card to uplift each spirit and soothe each soul who receives a bag. That's The Little Bit way! In 2016, we distributed 150 bags. In 2017, distributed 300 bags! This year we are aiming even higher! Purchase items from our wish list - click here: AMAZON WISH LIST. The items are sent directly to us. Share this information and our social media posts on your pages. Ask friends and family to support our efforts along with you. Remember, your words and actions coupled with the positive energy you wrap them in have infinite power. Use them to help someone who could use your positive energy. "A Little Bit goes a long way."